Known as Washington’s “Maritime City”, Gig Harbor is one of many towns to claim the title of “the gateway to the Olympic Peninsula”. Home to a beautiful historic waterfront and many parks, Gig Harbor has become popular among Northwest tourists. Just a short trip over the Tacoma Narrows Bridge separates Gig Harbor from Tacoma. This combined with a small population makes it ideal home for those who work in the city, but do not want to live in it. 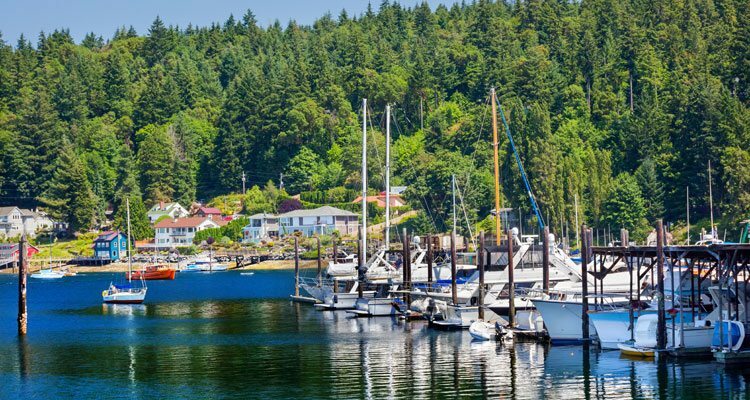 Gig Harbor, a town of roughly 7,000 people, offers quaint living for young couples looking to raise a family or old couples looking to settle in a quiet area. Despite a rise in tourism in the summer time, the town sees little to no crime. In 2012, Smithsonian Magazine, voted Gig Harbor number five on it’s list of 20 Best small towns in America.